Just like any business, your objective is to sell your products and/or services for a profit, right? LinkedIn is a platform built for professionals and personal brands and is a great prospecting tool to find business opportunities. LinkedIn can help you build professional relationships with the right network, connect with your professional community, and convert a healthy percentage of them into clients. In this presentation, Stacy shows you how to do just that. You will learn to focus your brand for the right audience, how to build relationships with your target audience, how to use your brand to optimize your LinkedIn profile, and the system to generate consistent leads from LinkedIn. By focusing on value generosity, your prospects and community will trust you. When they trust you, they are more likely to buy from you. 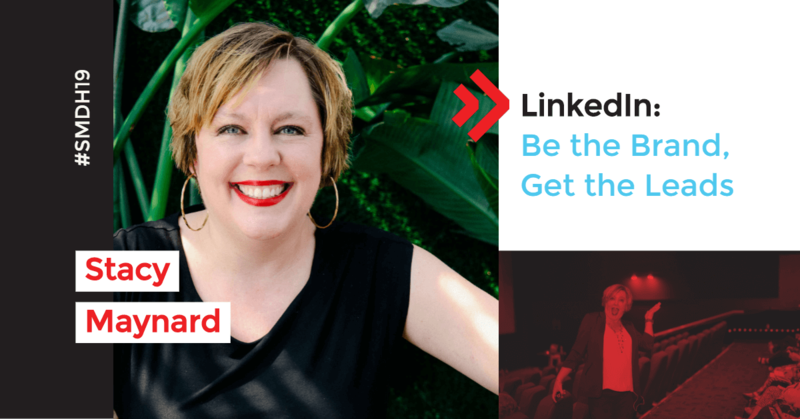 Quoted alongside digital industry greats such as Sprout Social, Point Source and Hub Spot, Stacy Maynard helps her clients and community position themselves as experts by strategically using LinkedIn to their business advantage. With a focus on LinkedIn and multimedia engagement, she brings a blend of business smarts and tech geekiness to all her work, training and events. As an author, trainer, speaker and action-taker, Stacy is multi-passionate and focused on helping businesses and corporations gain a competitive edge in this digital world. She is an award-winning entrepreneur with an extensive background in online marketing and corporate branding. This includes many years of social media training, LinkedIn profile writing, strategy and lead generation, video and social media training, podcasting and online personal branding.